The first ever interaction between Namor and Wakanda came during the reign of Azzuri the Wise during WWII. 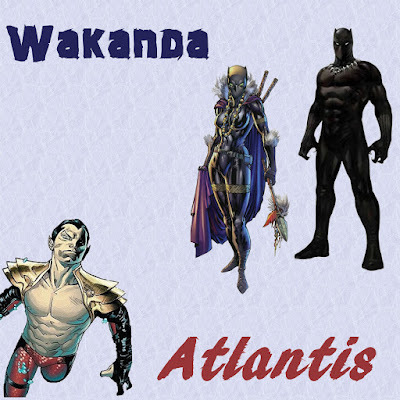 This story was told to T'challa by Namor himself while the newly married T'challa and Storm came to meet with Namor in Atlantis to discuss the Superhero Civil War. During WW2, the Invaders arrived in Africa to fight the Fascists there. This is around the time Captain America first came to Wakanda as well, that story was told in Captain American and Black Panther: Flags of our Fathers. Next up, Namor meets T'challa for the first time, due to the Kiber Island Incident.